Standing firmly as one of Barcelona's most famous theatres is the Gran Teatre del Liceu. Opened in 1847 on Las Ramblas, the Liceu is now at the centre of the city’s busiest area. The theatre began its life by hosting numerous small productions, concerts and variety performances until evolving into one of the most renowned opera houses in the world. 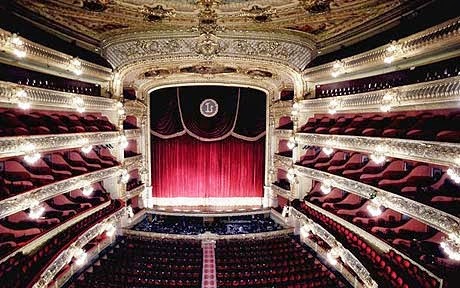 The Liceu has led by example as a cultural and artistic venue for over 150 years now. The first performance of an opera at the Liceu was orchestrated by Wagner and over time the prestigious stage has adorned performances by Mozart, Strauss and Stravinsky to name but a few talents. The Liceu has also showcased set design attributed to artists like Picasso, Miró and Bakst, further complimenting its ever exquisite range of performances. In more modern times, the Liceu has also branched out to accommodate some of the finest ballets in the world with annual ‘dance-seasons’. Tragically, a fire destroyed the theatres original auditorium and stage in 1994. The effect this had on Catalan society was far reaching and as though as true foundation of the city had been destroyed. Following the outcry from the Catalunyan people, the Liceu was put under public ownership and was gradually restored to its former glory. The new theatre shares the grand design of its former self, yet it now also boasts some fantastic modern facilities and avant-garde technical equipment allowing the productions which take place here to become truely wonderful.